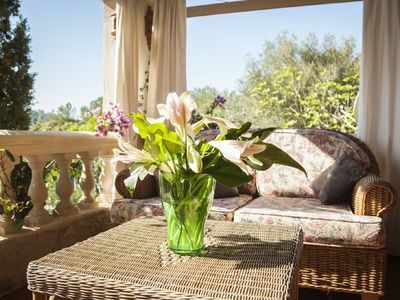 Extraordinary villa with private pool in Calpe for 8 people, close to the beach and near to the center of Calpe. 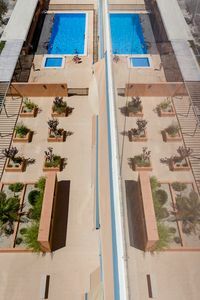 This new building is located in the residential area Benicolada, in a central location, close to the beach, supermarkets and restaurants and is ideal for those who want to stay without a car during your holiday. This modern villa has large bedrooms and living rooms. 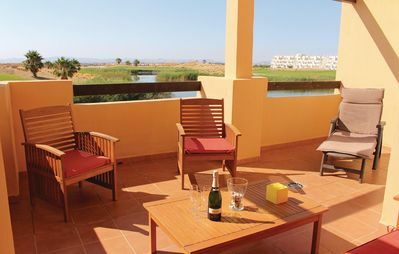 Outside you can enjoy the private pool, with green space and various terraces. 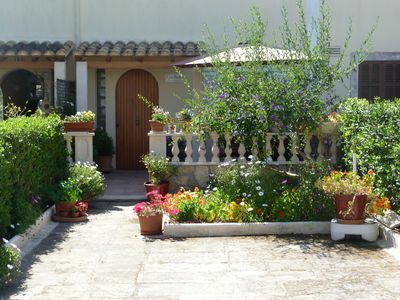 The large property is completely fenced and approximately 1,400 square meters, the interior of the villa has a total area of ​​approximately 300 square meters. Main floor: (accessible via 7 steps) living room with many sofas, TV with TDT / satellite, air conditioning (split). Dining room with access to the covered terrace and pool. 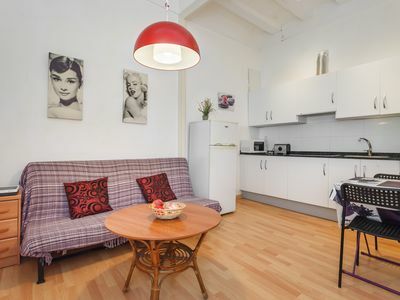 Large kitchen fully equipped with electric hob, dishwasher, fridge-freezer, microwave, coffee machine, kitchen set and 1 air conditioning (split). 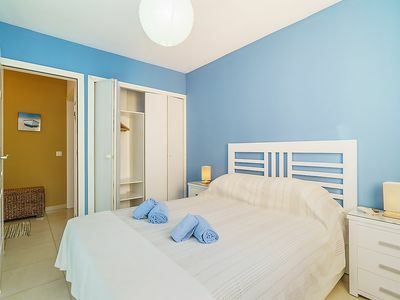 A large bedroom with 2 single beds and air conditioning (split). First floor: (access via internal staircase), 1 large bedroom with double bed and air conditioning (split). 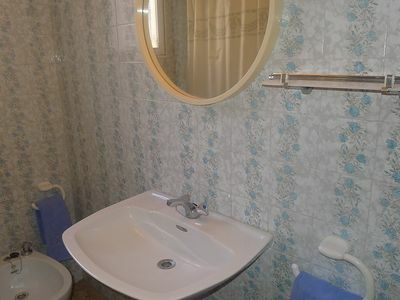 1 bathroom with shower, tub, toilet and washbasin. 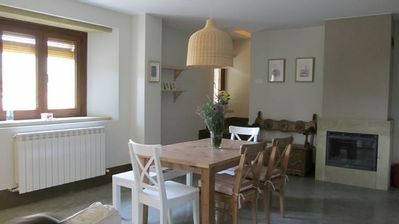 1 large bedroom with double bed and air conditioning (split). 1 full bath, tub and washbasin. 1 double bedroom with no air conditioning. 1 utility room with washing machine. 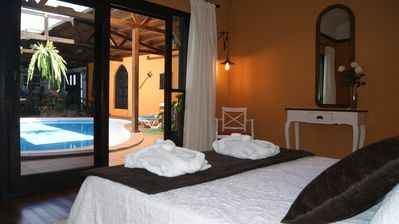 Exterior: Here you can enjoy the large property, with a covered terrace overlooking the pool. The square pool is 9 x 4.5m big with roman steps and outside shower; the green area is ideal for sunbathing. Outside you will find to enjoy 4 deck chairs and a barbecue for outdoor eating. Parking for 3-4 cars on the plot. 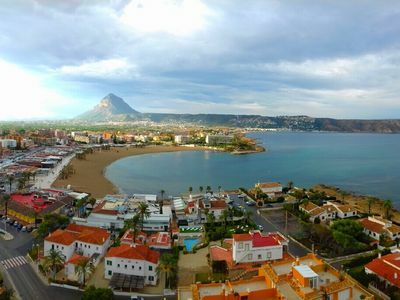 Distances: Calpe center, supermarkets and restaurants about 700 meters. 1.2 km away, accessible via a wide road, there is the main beach of Cape "arena bol" with beach promenade and numerous restaurants and shopping-possibilities. Stylish apartment with view - Apartment Where Else?